???????? ????????? ??? GTA San Andreas. ??? ?????????? : ????? ???? ? ???????. ???? ????? : Start > Run > ????? ????? "regedit" ? ??? OK. ???? 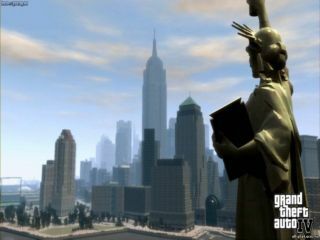 ?, HKEY_Local_Machine > SOFTWARE > Rockstar Games > GTA San Andreas > Installation. ?????? ???????? ?? ?????? ??????? ????. ???? ????????? ?? ????????, ? ?, ????? ?, ??????????? ???????? ExePath, ? ???? ???? ???????? ???? ?? ??????. ??? ????? ?????? ?? ExePath ?????? ??????? ???? ? ??? "Modify". NB! ???? ????????? ?, ???? ?????? ???? ???????? ? ?????? ?, ????? ?????? ?? ?????????? !